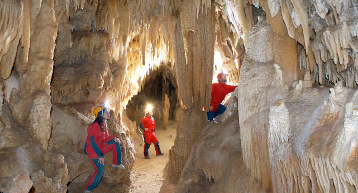 The Castellana Caves with the fantastic unique White Cave, a cathedral of pure limestone. 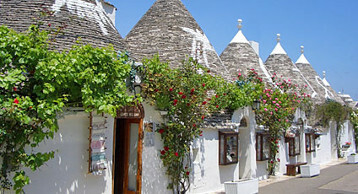 The town of “trulli” the typical whitewashed cone-shaped houses, a UNESCO World Heritage site. 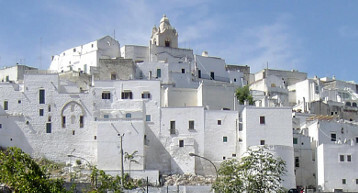 “The white city “ softly settling on a hill, with its snow-white houses nestling one on top of the other. 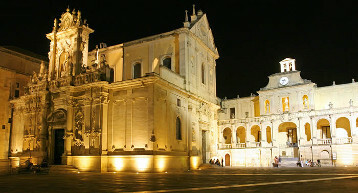 The Florence of Apulia, a baroque gem, renowned for its buildings and churches fantastically decorated with friezes carved in the soft local stone. 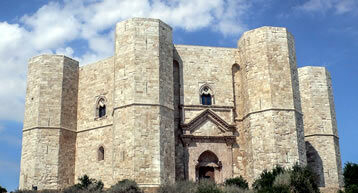 A UNESCO World Heritage site, it's the most famous of the castles built by Federico II. With its unusual octagonal shape, resembling a stone crown, it's is the mysterious gem of the Murgia Hills, a magical place. 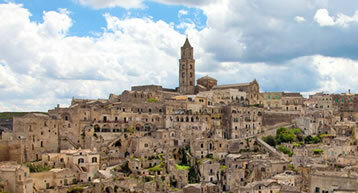 A unique city built on sheer cliffs over the sea amid karstic grottoes and breathtaking terraces. A UNESCO World Heritage Site, famous all over the world: they tell the History of Man from the neolitic age to the present day. With its circular shape – hence its name - its whitewashed walls, its characteristic sharp pointed roofs Locorotondo looks out onto a really fascinating landscape. 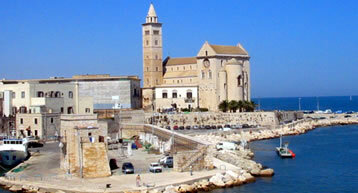 It is considered one of the”most beautiful villages in Italy”. A town of character, with its charming fishing port and its white cathedral on the sea, the pearl of the Romanesque style in Europe. A place to discover. 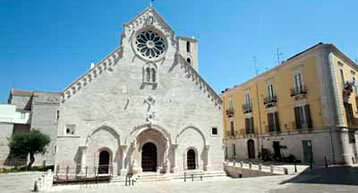 The town of olive trees, famous for its cathedral in Apulian-Romanesque style and the historic centre rich in elegant renaissance buildings. 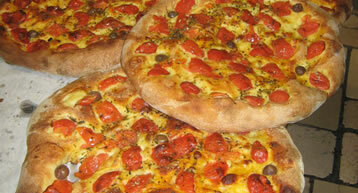 Also renowned for its locally produced olive oil (CIMA DI BITONTO). 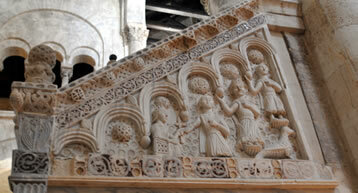 Not to be missed the Iatta archeological museum and a visit to the splendid cathedral. It boasts an interesting historic centre and an imposing cathedral built under Federico II' s reign, but is also renowned for its DOP bread (Protected Designation of Origin), exported all over the world.